All or nothing! From now on it’s all cards on the table! Take your lucky cards and get yourselve the biggest profit from the safe. Enjoy your lucky streak with extravagant cigars while partying in a unique Western Saloon environment. Take your chance and find the „GOLDEN EGG OF CRAZY CHICKEN“ in the mystical land of the Pharao. Unleash the secret of the symbols to find the treasury chamber with the „GOLDEN EGG“. The magical power of the egg can quickly swing the game in your favour. It will upgrade symbols and award you with extra freerounds. GAMOMAT’s FLOW technology guarantees High end entertainment with state of the art graphics, high quality sound experience and impressive animations across all platforms. Game layout: on 5 reels and has 5/10 pay-lines. Be a fearless warrior and fight your way to the mystical temple of the Samurai. There you find the mysterious scroll of the Shoguns. It will grant the power for lots of freerounds and will reward you with even more winnings. With an additional bet the „Crazy Chicken Shooter“ can be activated, which can trigger a jackpot side game with every spin. In this stage, you first collect as many bullets as possible and then shoot as many flying chicken as you can. Every hit chicken will increase your total winnings. GAMOMAT’s FLOW technology guarantees High end entertainment with state of the art graphics, high quality sound experience and impressive animations across all platforms. GAMOMAT’S trully kinglike version of its classical fruit game awaits you with majestic profits and many „royal“ freerounds. Play GAMOMAT‘S „ROYAL SEVEN“ now including the thrilling jackpot side game "Golden Nights“. With an additional bet the "Golden Nights"- Bonus feature is activated, which can trigger a jackpot side game with every spin. Go and get the extra portion of luck to increase your total winnings! 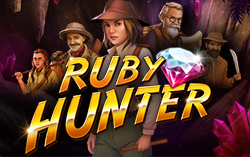 Desert Gem builds upon the success of Kalamba's successful HyperBet feature, which lets players control the volatility of the game and offers more options for a player to increase his or her bet. There are 5 different options for enabling Gold symbols, which have higher pays for winning combinations and give the game an extra kick of volatility. It also features one of Kalamba's proven retention mechanics, with a symbol collection meter to win a Bonus Spins feature. And to top it off, there is a bonus jackpot that is awarded for combinations of gold symbols! 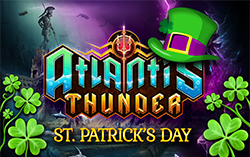 The first in a series of holiday promotional games, Atlantis Thunder St. Patrick's Edition will give operators a new way to promote Kalamba's fantastically successful game, Atlantis Thunder. The 3600 ways, unique reel layout, extreme volatility and HyperBonus feature will continue to enthrall high rollers! Just leave your everyday life behind and dive into a dream full of sunshine, delicious food and tasty wine! Experience your „Dolce Vita“ as a winemaker, produce fine wine, enjoy lots of freerounds and high profits. Play GAMOMAT‘S „LA DOLCE VITA“ now including the thrilling jackpot side game „Red Hot Firepot“. With an additional bet the "Red Hot Firepot"-Bonus feature is activated, which can trigger a jackpot side game with every spin. Go and get the extra portion of luck to increase your total winnings! Start the quest to the blue temple and unlock the mysthical secret of immortality! You will be rewarded with lots of freerounds and you will win the favour of the golden dragon, who guards the princess. Your reward will be everlasting happiness and immeasurable riches. GAMOMAT’s FLOW technology guarantees High end entertainment with state of the art graphics, high quality sound experience and impressive animations across all platforms. GAMOMAT’S SUPER DUPER CRAZY CHICKEN Easter Egg gives players major excitement to find valuable „Easter Eggs“ this year! Don’t get distracted by the „Crazy rabbit mummies“ and Egyptian scarabs, but go straight for your mission. Find the eggs and transform symbols into high winnings. Enjoy the excitement of GAMOMAT’S Easter Egg version of the popular„Sticky Diamonds“ Game. STICKY DIAMONDS Easter Egg offers players not only freerounds with „Sticky Wilds“, but additionally a „Mystery Chance“ for a second freeround run directly after a first one. 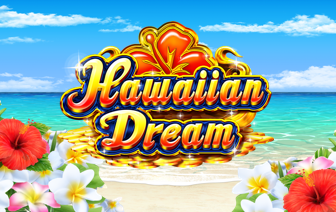 This game features Kalamba's successful HyperBonus and Bonus Jackpot mechanics, with a new lock-and-respin feature in the free spins that will give a thrill to any high roller who is thirsty for volatility! Go and find the legendary book of the Egyptian pharaos in this exciting „Easter Egg edition“ of GAMOMAT’S popular „RAMSES BOOK“. For thousands of years, the book lies hidden in the pyramid of Ramses, guarded by the holy cats and the falcon god Horus. The book shows you the way to many freerounds and top winnings. GAMOMAT wishes all players a happy Easter with this ROYAL SEVEN XXL Easter Egg edition! This XXL version of their popular fruit game awaits you with 20 paylines and and „royal“ winnings. Spring has sprung – fill your baskets with Jackpots wins and other attractive win opportunities in the easy to play slot with 4096-ways! 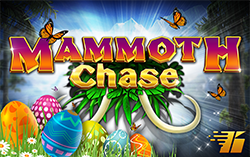 Mammoth Chase Easter Edition is another slot from our seasonal calendar with a spring like game design and beautiful decorated Easter surprises. Great for advanced players & volatile at its core. It features high potential free spin retriggers & wild multipliers. Mammoth win potential with 3 levels of Bonus Jackpots with highest level seeded at x1000 bet! Are you ready for a thrilling treasure hunt as a real pirate? Just follow „the path of the pearls“, written in an ancient book, it will lead you to the hidden treasure box. Work hard through the spinning wheels and collect as many bonus symbols as possible or triple your winnings in one of two daring freeround features. Two different Scatter trigger two varied free spins. During Book-Feature a bonus-symbol expands at reels and during pearls feature all wins are tripled.